Past March we have been busy recording our brand new full album at Blackout Studio, Brussels. More news on the release will be announced shortly! People have been wondering about our lyrics, so we present to you ‘Hopelessness’ from the album ‘Eternal Bloodcult’ to keep up your fix of epic saxophonised death metal. Available in the shop via the link in the menu. Official music video & pre-order online! A promotional video for the track ‘Divine Music, Unholy Flesh’ is now online! The track is taken from the album “Eternal Bloodcult”, out on May 24th on Profane Records which is now available for pre-order in our shop (accessible via the menu above). Finally here are the details of Wound Collector’s debut album “Eternal Bloodcult”. 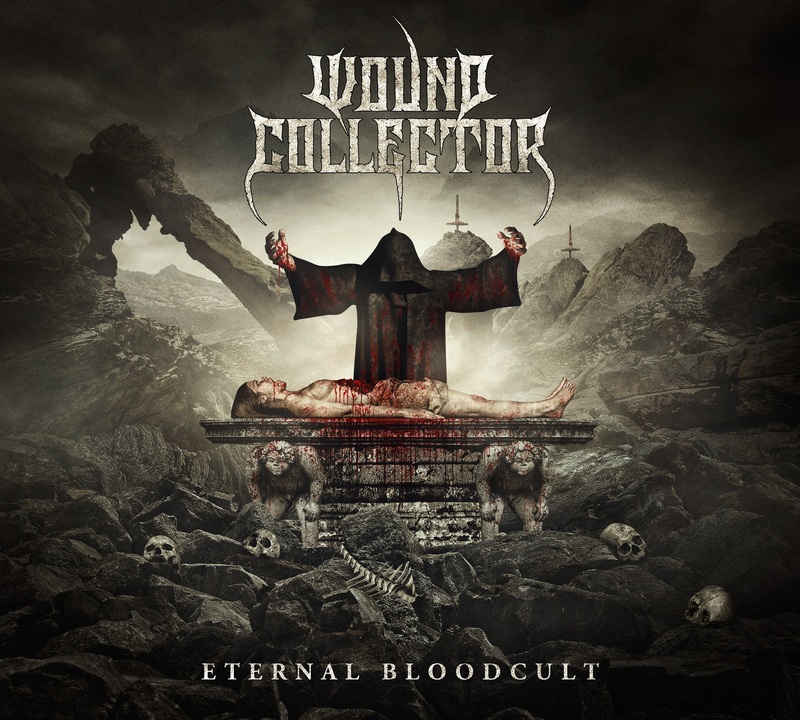 Belgium’s epic saxophonised death metallers Wound Collector, are ready to release their full length debut album “Eternal Bloodcult” on the masses viaProfane Records. The foursome of Peter Verdonck (vocals / saxophone), Kurt Hermans (bass / vocals), Guy Van Campenhout (guitars / vocals) and Ben Van Peteghem (drums) mix an old school death metalvibe with modern accents, a hefty dose of saxophone, triple vocal attacks and progressively brutal songs into a whirlwind of death, negativity and hopelessness. The release of the album is scheduled for May 24th, 2018 through Profane Records! Label Manager Sven: We are very proud to announce that we have signed a deal with Wound Collector from Belgium. Wound Collector makes “epic saxophonised death metal” which is special in the genre. We welcome Wound Collector to the PR family.